Heading away? 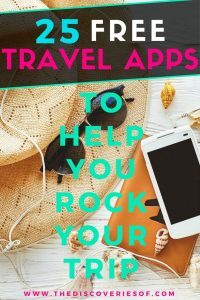 Whether you’re jetting off on a short break or a long trip, here are the 25 best free travel apps that you should have before you go. PS. Looking for more travel inspiration? Don’t forget to check out these awesome travel and vacation memes! Of all the free travel apps and websites out there, Skyscanner is our go-to app when it comes to looking for flights. Simply enter the destination and the dates to see the cheapest fares from across the web. If you’re a bit more flexible, you can search each destination then see the cheapest dates to go in each month or you can go wild and enter your dates to see possible destinations listed from the cheapest upwards. 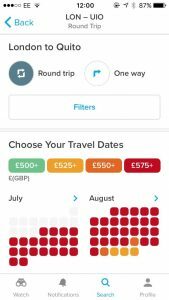 Hopper is a great app to help you make the most of your flight pennies to turn them into travel pounds. Simply search flights to the destination you’re planning to book and the app tells you the cost, if it’s a good price and (most importantly) whether prices are likely to go up or down in the coming weeks. 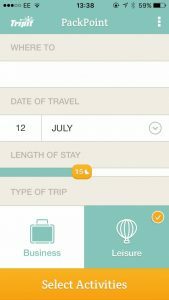 You can also choose to track your flights – Hopper will notify you when flight prices change and again, whether it’s a good time to book them. It’s basically all the beauty of flight hacking without the fuss and time sacrifice. Google is slowly taking over the travel world. We’re not the biggest fans of that (as we talked about here in our article “Why Google are Failing at Travel” but if it has to happen, we might as well make use of it. 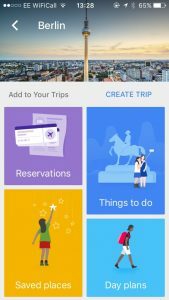 Google Trips helps you to organise all of the details of your travel. So it pulls information such as flight times and hotel reservations from your inbox and pairs them with in-depth travel guides to your destination. One of the biggest benefits of Google Trips is that you can download everything (including maps) and use it off-line. So you don’t need to use data or Wi-Fi when you are on your trip. 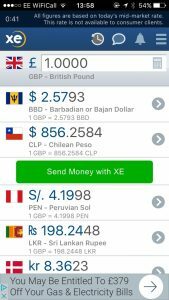 Another long-term hero of the free travel apps world, XE is the go-to currency conversion app, and for good reason. You can track up to ten currencies at a time, easily switching between them to see the conversion rates. XE really comes into its own if you’re going to more than one country on your trip, as you can load all of the currencies for the countries you’re travelling to onto the app and it will update them when it’s connected to the internet. Easy. Remember the thrill you used to get when a postcard from an exotic destination landed on your doormat (if you’re too young to remember then you’re going to have to use your imagination we’re afraid – don’t worry, it doesn’t hurt too much). 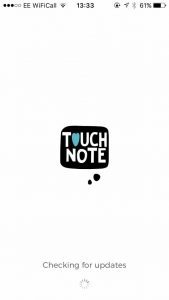 TouchNote is out to make postcards cool again, except rather than having to choose from the inevitably tacky array of postcards on offer in the shops then trying to work out where and how much a stamp is, you can do it all through the app. 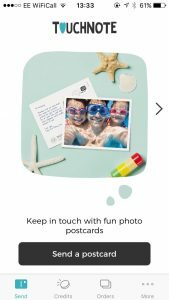 Pick a photo from your phone, type your message and the recipient’s address, pay for the postage and voila, it’s on its way. They even send it from the UK, so postage is cheaper. The accommodation-booking monster is loved by some, hated by others. 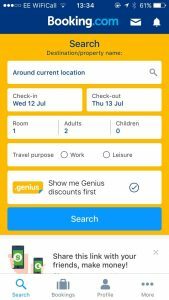 There’s no denying that it is very useful to help find and book accommodation in pretty much every location around the world. The Genius deals for frequent bookers are sometimes really very good and it’s also a good choice if you’re looking for last-minute options to lay your head for the night. Hotel Tonight does exactly what the title says. 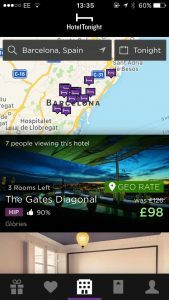 It shows the best offers for hotels in an (ever-expanding) range of cities and destinations for the same night. We’ve found this most useful for the larger destinations like New York and London, where there are some absolutely brilliant bargains to be had. Want to learn a bit of the local lingo before you go? Duolingo will help you do just that. Whether you’re a complete beginner, intermediate or advanced, the app will assess your current capability and give you a tailored set of lessons that will have you speaking your chosen language with ease in no time. Plus, it’s really good (read a bit annoying but effective) at reminding you to do your daily practice, so there’s no excuse for slacking. 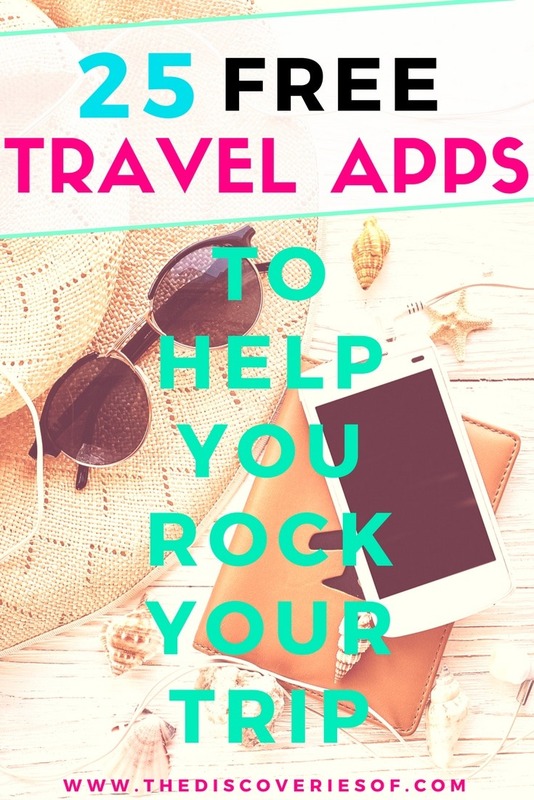 One of the star picks from our best free travel apps list. It can be a daunting experience trying to work out how to get around a city and the easiest way to get between different locations. That’s where Citymapper steps in. You simply enter in the start and end locations and your method of transportation (i.e. 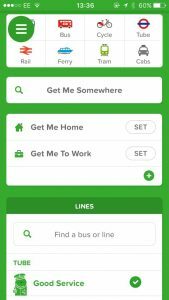 walking, public transport, driving) and Citymapper works out the quickest route. Available in 35+ cities worldwide. 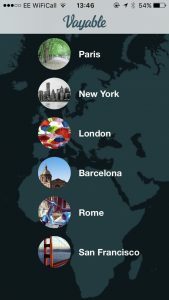 Circa is a really simple app that allows you to track the time zone in different locations around the world and present them in a simple dial format. Just add the destinations that you want to track, and it presents them as concentric time arcs on the dial, allowing you to see each one delete each one at a glance. 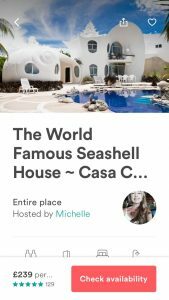 Airbnb needs no introduction. Arguably the biggest disrupter of the travel industry, it’s become the go-to destination for those looking to rent a room, flat or house to stay in during their travels. There are some drawbacks – the lack of unified deposit terms and booking protocol across hosts, but it’s a brilliant way to find somewhere to stay during your trip. 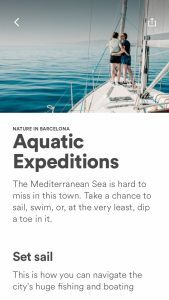 Late last year, they also launched Airbnb Trips, a curated set of experiences led by locals to help you see each destination from a different point of view. If you don’t have the app use this link for £30 off your first booking. Foursquare has evolved from its early days when everyone was competing with their friends to become the “mayor” of their local coffee shop, to a great discovery tool to help you find new places that you’ll love. 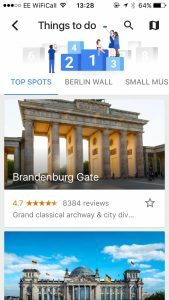 The app recommends local spots (such as bars, cafes and restaurants) based on places you’ve visited and enjoyed in the past. You can also add tastes and follow experts to see their recommendations. There’s no getting away from it. Uber is a very, very useful app. The premise is simple. 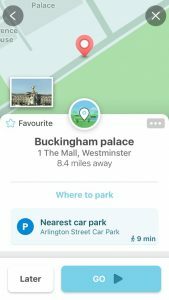 The app picks up your location and shows you the number of drivers in your area. You can then request a taxi and if a driver accepts, they’ll pick you up and drop you off in your chosen locations. 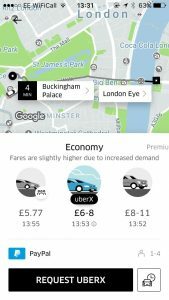 You can choose the level of car you want and whether you’re happy to share and the app gives you an estimated price, doing away with any nasty cost surprises. Don’t have Uber yet? Download it here. No matter how many times you’ve travelled, you’re almost guaranteed to forget something useful. Not with Packpoint. 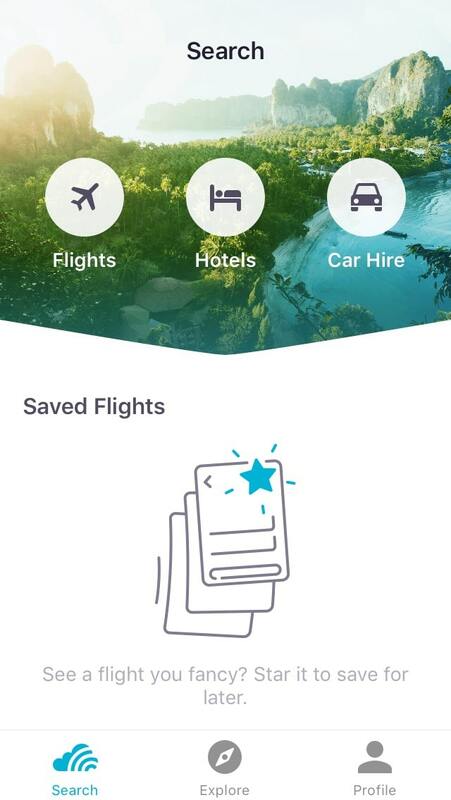 You tell the app what kind of trip you’re going on, how long for and other such info and it gives you a complete list of everything that you need to bring. 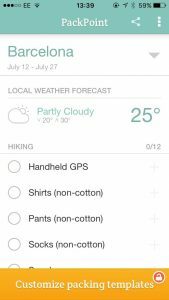 You can even tell it to dial down the number of changes of clothes if you’re packing light or up if you’re going all out. 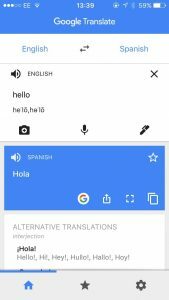 Google Translate is another handy travel app from the search giant – this time aimed at helping to communicate in other languages. While it’s no replacement for actually learning a few words of the language – our biggest travel tip whenever you go to any new country, it will help get you out of those sticky situations where you’re trying to decipher the menu or a map without getting it all completely wrong. No introduction, no explanation needed right? WhatsApp is the global messaging app that’s pretty much universally used wherever you are in the world. Gone are the days of expensive International SMS fees – we don’t miss them and we’re pretty sure that you don’t either. Kik is a bit like WhatsApp for people that think that they are too cool for WhatsApp (mainly the young ones). But if you’re in the right demographic it can be a handy way to chat with people you know, and even meet those you don’t. The app has a number of internal apps, including Flirt! and Match & Chat that are aimed at helping users to connect online. Planning on driving on your trip? Waze will show you the way. Waze is like sat-nav on speed. 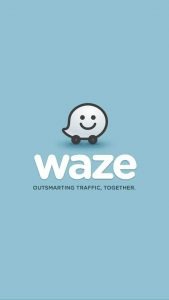 Forget about route-planning apps that only show you the quickest route from A to B – Waze tells you about live time traffic accidents (reported by other Wazers) and a report about whether they’ll delay your trip, plus alerts if there are upcoming speed cameras on the route. It’s pretty much indispensable if you’re going to be driving in a city location. 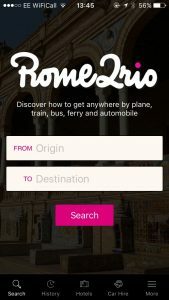 Tired of scrabbling together all of the trip emails, app confirmations etc from a million different sources to create a legible itinerary for your travels? TripIt is your new best friend. Simply give the app the requested permissions and it will automatically create trip itineraries with all of the details you’ll need every step of the way. Remember when Apple released Find My Friends and it sounded cool. And then you realised it was actually a bit creepy and that you could basically be stalked by your contacts. Glympse takes the useful and cool part of FMF and does away with the creepy aspect. You can choose to share your location with your friends (for a limited period of time) and Glympse takes that information to work out the best meeting point for you. 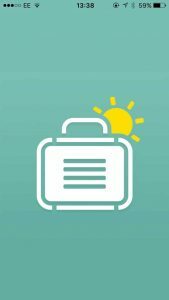 Wondering what to pack for your trip, or not sure what to wear in the morning? 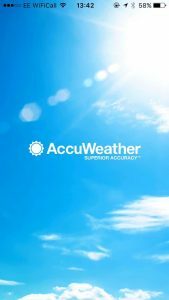 Accuweather provides you with accurate weather forecasts for pretty much most destinations in the world. There are a lot of weather apps out there, but we think that this one is the most consistent. Every traveller knows what a nightmare it can be trying to find up to date information about flight, train, bus, ferry and driving options in some countries. 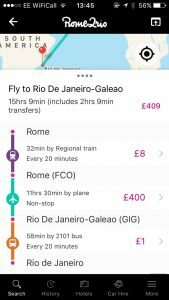 Rome2Rio is the best app out there to help you plan your trip. Not only does it provide up to date timetables, it also gives estimates for the price and length of each leg of the trip. 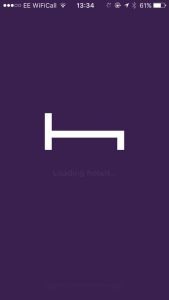 Loungebuddy is a handy tool if you’ve got some time to spare in the airport and want to work out if it’s worth going to one of the airport lounges. 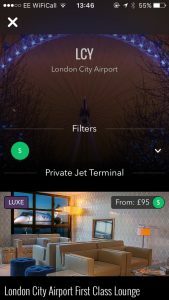 The app uses your location to determine which airport you’re in and then provides you with a list of the lounges, how you can access them, amenities and hours plus any reviews left by other app users. Depending on the airport and lounge, you can even book and pay for your access in the app. Want to get away from your travel guidebook and off the beaten track? Vayable is an online marketplace for experiences and the start of your next great memory. Tours and experiences are mostly led by locals and range from photography walking tours to cycling tours, street art hunting or personal shopping trips around your chosen destination. Tipping is a tricky business – the rules vary so much from country to country it can be hard to keep on top of the rules. Fancy Tips helps you navigate the muddy waters of tipping in your chosen location and lets you calculate the appropriate tip in accordance with the local customs. 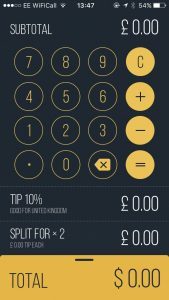 It also has handy guides about tipping for each country too, so you don’t have to whip out your phone each time to work out the amounts. Any other suggestions? Drop us a comment below – we’d love to hear them!